Any Side Effects From Regular Use Of Flax Seeds? Here in the current post, I have tried to explore Flax Seed (अलसी के बीज – flaxseed in Hindi). Some name it as miracle seed, some have described it as a super seed or a wonder seed and a few of them have even called it one of the most powerful plant foods on the planet. I have used it and I do agree with the synonyms that this seed has attracted. By taking a regular dose of this miracle seed, I found that my blood pressure and cholesterol have come well under control and my digestion has improved. Further detailed study of this seed and its benefits compelled me to write about it so that more and more people may get an unbelievable range of benefits that this super seed has to offer. I recommend you to add this seed in your regular diet. Adding this wonder seed a regular ingredient to your diet plan will impart you a great health and develop in you a confidence of keeping yourself free from a lot of ailments. Flaxseed is the seed of the flax plant (also known as Linum Usitatissimum) and can be eaten either in the form of whole seeds or in a powdered form (flaxseed meal). It is a great way to incorporate dietary fiber, antioxidants, and omega-3 fatty acids into our diet. Flax Seed has a high fiber content and as such can help with digestive issues like constipation and wind-related problems. Recent studies have suggested that Flax Seeds have possible anticancer components called lignans, which do have a protective effect against breast cancer, prostate cancer, and colon cancer. Research on Flax Seed also suggests that one of its component omega-3 help the cardiovascular system through anti-inflammatory action and by normalizing the heartbeat. Research studies have also suggested that diets rich in flaxseed omega-3s help prevent hardening of the arteries and keep plaque from being deposited in the arteries. Omega-3 Fatty Acids and the Amino Acid groups in Flax Seed can be said to have a Blood Pressure lowering effect on those who have hypertension. 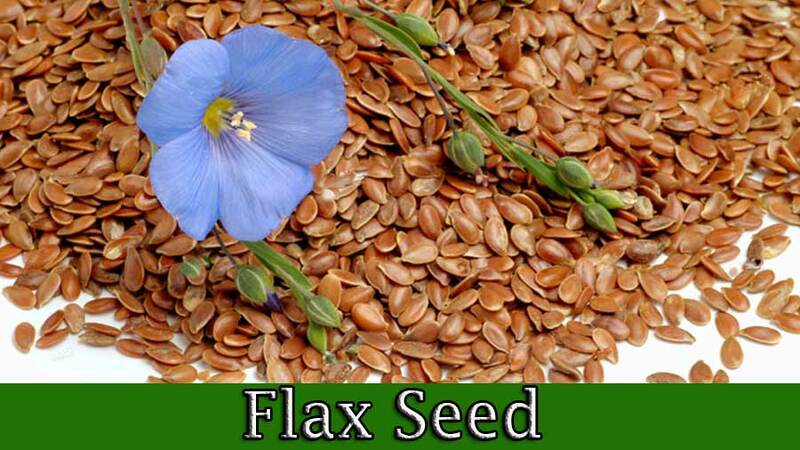 Making flax Seed a part of daily diet may also help you to maintain cholesterol levels. You will agree that the level of bad cholesterol in the bloodstream has been linked to an increased risk of heart disease, obesity, diabetes, and metabolic syndrome. The cholesterol-lowering effects of flaxseed can be attributed to the presence of the omega-3 ALA, fiber, and lignans in the Flax Seed. Researches also suggest that daily intake of the Flax Seed may help control blood sugar levels of adults suffering from type 2 diabetes. Studies on Flax Seeds also suggest that its daily intake may reduce the inflammation that accompanies certain illnesses such as Parkinson’s disease and asthma. Study on menopausal women suggested that 2 tablespoons of grounded flaxseed twice a day cut their hot flashes to half within a week. Flax Seeds are a good source of fiber and as such aid in digestion and prevent constipation. They are also a good source of thermogenic, which is the fat burning compound. Flaxseeds are a rich source of protein which again helps lose weight faster. So ground flaxseeds or milled flaxseeds are very effective when it comes to weight loss. Flaxseed may mess with your hormones during pregnancy. Pregnant women and breastfeeding mothers should avoid using Flax Seed as a supplement to their diet, as the research on it still continues. Consulting your Doctor in this regard can be the best idea. Adding flaxseed to the regular diet might increase the number of bowel movements each day which might cause gastrointestinal side effects. Although the research still continues and the optimum dose for best of health benefits is not yet known, still a dose of 1 to 2 tablespoons of ground flaxseed a day can be suggested as a daily dose, according to the Flax Council of Canada. Use the grounded or milled Flax Seed. If taken without grinding, it is more likely that it will pass through the intestinal tract undigested, which means your body doesn’t get all the healthful components. If you find it difficult to eat grounded Flax Seed alone, add it to a food you regularly eat, like oatmeal, buttermilk, soup, or yogurt. Flaxseeds, when milled, become so versatile to use that you can create and form a lot of delicacies, like Chapatis, Parathas, desserts, drinks, salads, and so on. You should keep the Flax Seeds in the freezer. The freezer will protect the Flax Seed from oxidizing and losing its nutritional potency. 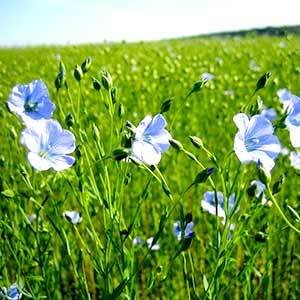 Note that as long the Flax Seed is dry and of good quality, it can be stored at room temperature for up to a year. Just one tablespoon of Flax Seed can provide a good amount of protein, fiber, and omega-3 fatty acids, in addition to being a rich source of some vitamins and minerals. So why not to start using it today itself and keep yourself and your family healthy.